If you can’t wash your dishes at the same time you water your lawn because the water pressure becomes too weak, you may need to investigate your home’s water supply system pressure. 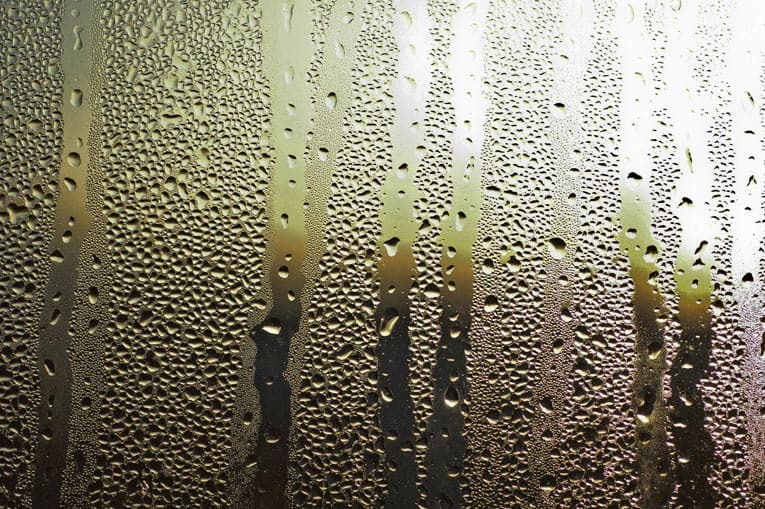 Water pressure that is too low won’t adequately serve fixtures, and water pressure that is too high can damage equipment. Water pressure may be low for a couple of reasons. If all of your neighbors have low water pressure, there may not be much you can do except to contact your water supplier and complain about the problem. You might even do well to gather a petition from the neighbors and submit it to the utility. Open the supply valve all of the way by turning it counterclockwise. 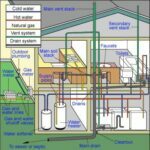 If your home is the only one with low pressure—or if only parts of your house have low pressure—then there is probably a constriction in your pipes or valves. The most common cause of low water pressure in a home that’s more than 20 years old is older steel pipes that have become clogged with lime deposits that strangle the flow of water. Unfortunately, to solve this problem, you usually need to have a plumber re-pipe your home. But before you go down this road, do the following. If the problem seems to be at a single faucet or shower head, check for a flow restriction, clogged aerator, dislodged washer, or partially closed supply stop valve. If a faucet has an aerator, check that first; remove it and clean it out, then replace it. If you’re dealing with a sink faucet, check the supply valves underneath it—turn them counterclockwise as far as they will go to open them entirely. If they’re already wide open, close them, remove the supply tube, and check to make sure a rubber inside the connection hasn’t become dislodged. Then replace the tube and turn the water all of the way on again. A shower head may have pressure reduced by a restrictor, located inside of it. Remove the shower head and look for a restrictor—a rubber or brass disk—or a washer that has become dislodged. Be sure the valves on each side of the meter are wide open (turn counterclockwise). Go out to the street and locate your water meter (for more about this, see Water Supply Plumbing Systems). 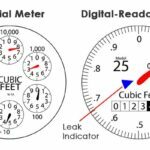 There should be a water shutoff valve next to the meter—in fact, there may be one on each side of the meter as shown in the illustration at right. Be sure the valves are entirely open—turned counterclockwise as far as they will go. If you discover that a supply valve is partially closed, opening it should solve the problem. Be sure the house’s water supply valve is completely open. 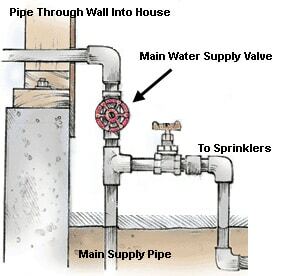 Most houses also have a main supply valve located where the cold-water pipe enters the house, as shown at left. Turn this counterclockwise to make sure it is all of the way open. If your home has a water-pressure regulator, this device is probably located at or near the house’s main supply valve. This may need to be adjusted—in most cases, this is a job best left for a plumber. If the problem persists, contact a plumbing contractor to check for obstructions, install a water pressure booster pump, or re-pipe your home with copper pipes. The following video shows how to test your home’s water pressure and utilize a water pressure regulator and a thermal expansion tank to adjust it appropriately. This includes information on how to use push-fit fittings and how to solder copper pipe.